The “@FoodTech Startups” competition was part of the recent “So French, So Food” week, organised by the Embassy of France, Israel-France Chamber of Commerce and Challengy Innovation Agency in Tel Aviv. Ten Israeli startup companies were chosen as finalists and presented their innovative products at the event. GreenOnyx, a new vegetarian protein company, won first place. 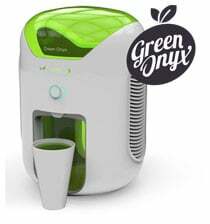 GreenOnyx is developing an in-doors, mini-farming technology that could be as compact as a counter-top kitchen appliance and still provide a kg of fresh produce daily. The product is an aquatic super-vegetable called Khai-Nam, with an appearance best described as “green caviar”. It is a traditional vegetable that has been consumed for generations in Thailand, Burma and Laos. Khai-Nam has exceptional nutritional density, a profile similar to a combination of kale, spinach and broccoli, and is said to be extremely palatable and it blends seamlessly in high portions into almost any dish. At this point, based on the company’s first regulation milestone, the USDA GRAS status, the concept will be launched in the US next year. “Other regions from 2017, mostly based on market pull and regulation timelines (EU, China, Japan),” he confirmed. Pimi Agro – The company vision is to help eliminate fresh produce waste by 25%. Pimi Agro has developed an efficient, sustainable, environmentally-friendly solution for dramatically extending the shelf-life of post-harvest fruits and vegetables. The product combats pathogens effectively, is EPA approved and is backed by research. Valiber Swizzle 1.0 is a sweetness measuring tool. The Val Scale tells you how sweet your drink is. The Val Sweetness Scale was created to measure sweetness, and indicates sweetener concentration using a numeric unit. ProtyPlus is an innovative protein- and iron-rich meat-based snack that melts in the mouth. Breakthrough technology controls the snack’s airy texture. ProtyPlus has an unmatched source of iron and protein, five times more than a vegetarian snack. The freeze-drying technology maintains most of the meat’s nutritional value and allows it to deliver almost all additional nutrients: vitamins, minerals, fibre and more. BitBite helps people eat healthier and lose weight. BitBite monitors eating patterns by analyzing chewing sounds via microphones available in off-the-shelf headset devices. BitBite knows when, where, what and how the user is eating. Analysis of this data allows BitBite to send its user real-time dietary advice on how to eat healthier. WakeUp Post-lunch Waker – part of a revolutionary new product category, this is an all-natural beverage is scientifically proven to help overcome the fatigue experienced after lunch (known as “post-lunch dip syndrome”), which is embedded into the human biological clock.